This is the story of Fulke FitzWarin, outlaw knight of 12th-century England. At 15 years of age he is a personal attendant to the future King John. Following a violent quarrel with John when the King gives the FitzWarin estate to another, Fulke renounces his fealty to the king and becomes an outlaw, a landless man, game to be hunted down like wolves. The hatred between Fulke and John is the main theme of this historical fiction; the secondary theme is Fulke’s recovery of his family’s estate, Whittington and his passionate love for his wife, Maude. Elizabeth Chadwick is at her best in medieval historical fiction. She takes the reader back to that time by her descriptions of clothes, customs, people, and battles. The description of the kitchen of the Palace of Westminster preparing for a banquet is amazing not only for the amounts of foods but the kinds of foods eaten by people of those times. As well, the lives of young girls and women in medieval times were unenviable. I am still revolted by the idea of fathers “selling off” their daughters to the highest bidder or to cement political alliances. And as for the marital wedding sheet proving a bride’s virginity for all to see – how humiliating! But those were the customs of the times and no one brings them to life quite like Chadwick. The story could have been told just as well and in fewer pages without detailing Fulke and Maude’s amorous adventures. Religious and other expletives are threaded throughout the story. 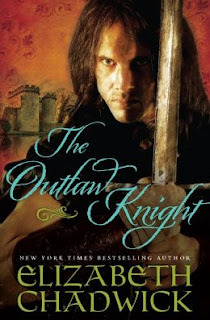 Despite all of that, however, fans of Elizabeth Chadwick and medieval historical fiction/romance will enjoy this re-release of a book that was previously known as Lords of the White Castle. Note: This book is rated S = explicit sexual content and P = Profanity for religious and other expletives. Disclosure: Thanks to Sourcebooks Landmark for sending me this book for review. I was not compensated in any other way, nor told how to rate or review this product.